This layer adds extensive support for go. Make sure that gocode executable is in your PATH. For information about setting up $PATH, check out the corresponding section in the FAQ (SPC h SPC $PATH RET). For best results, make sure that the auto-completion and syntax-checking layers are enabled as well. To use this configuration layer, add it to your ~/.spacemacs. You will need to add go to the existing dotspacemacs-configuration-layers list in this file. By default, go buffers are run through gofmt on save. To use a different formatter, set the value of gofmt-command, e.g. By default, the tab width in Go mode is 8 spaces. To use a different value set the layer variable go-tab-width, e.g. 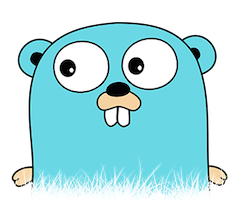 If you're using gocheck in your project you can use the go-use-gocheck-for-testing variable to enable suite testing and to get single function testing to work. go-coverage-display-buffer-func controls how go-coverage should display the coverage buffer. See display-buffer for a list of possible functions. The default value is display-buffer-reuse-window.